At Bayside Psychotherapy in Melbourne, we’ve noticed an increase every year in the number of people we help to stop, or come to terms with the damaging impact of binge drinking. Whilst we help people from all walks of life, facing all kinds of personal challenges it’s clear that binge drinking and associated impacts of alcohol misuse are on the rise. Our counselling clinic is treating more people suffering with this out of control problem than we ever have before. 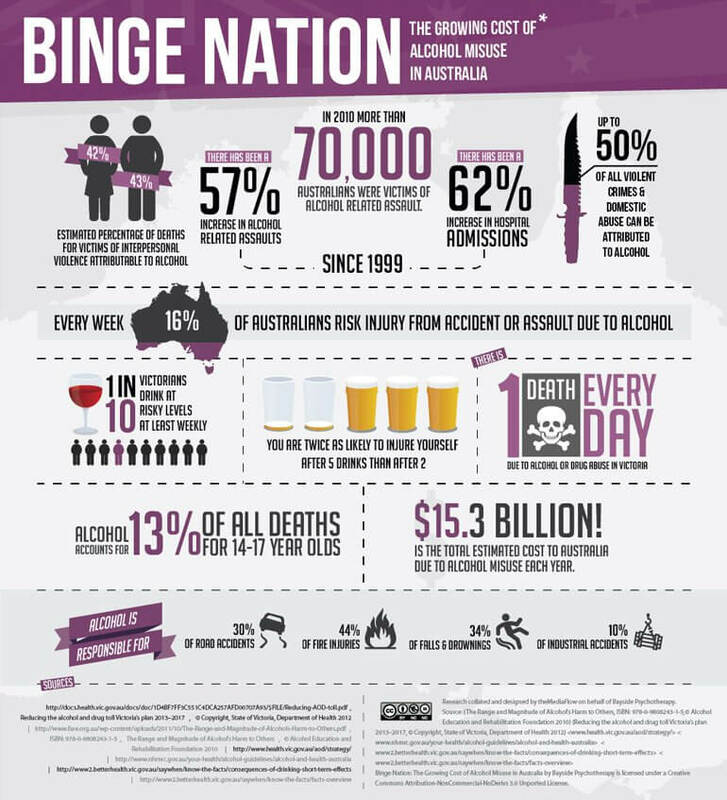 It’s not our job to judge, but to help and inform; so we put together this picture of the social cost of binge drinking. We’d be delighted if you could help share this with your friends and family via social media.